I caught him in the act! Tyoma’s been arranging his letters alphabetically now for about three weeks. I blink and there’s another alphabet. He is so intense working on his masterpieces! Much like papa, intense and very focused. 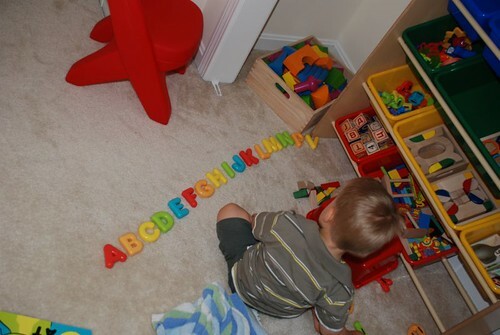 In the past few days, he has been putting together the string of letters in order almost every time! Cool! Aug 18 2008 Oct 7 2015 Lori D.